When Nick and Alix Avery approached me to design and build a website for their exciting new product, I knew that a good marketing strategy would be crucial to their success. I immediately contacted Hayley Williams of Keystone Marketing in St Neots. Hayley and I have collaborated before and I felt she would be the ideal person to bring this innovative consumer product to market. 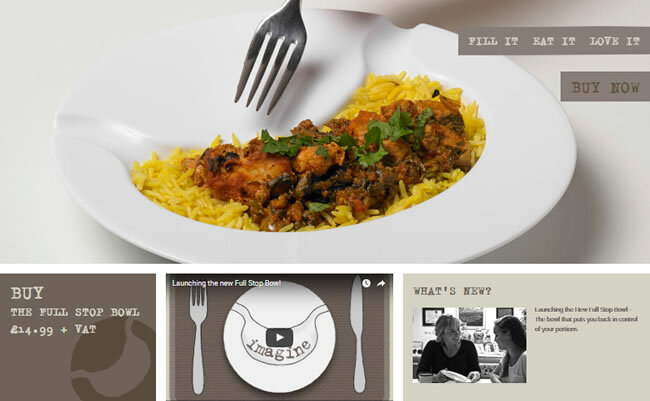 Now six months down the line, we are delighted to announce the launch of Full Stop Bowl. The bowl, created by Cambridgeshire based Alix Avery, is designed to change lifestyle habits and help people to eat less, rather than diet, put on weight and diet again. The white, dishwasher safe and microwavable plastic bowl has a stomach-shape cut into it which is a visual reminder of the amount you should eat at mealtimes. You can fill it with the food the rest of the family is eating, without the fuss of counting calories or weighing food. Inventor, Alix Avery says: “I invented it because I needed it. 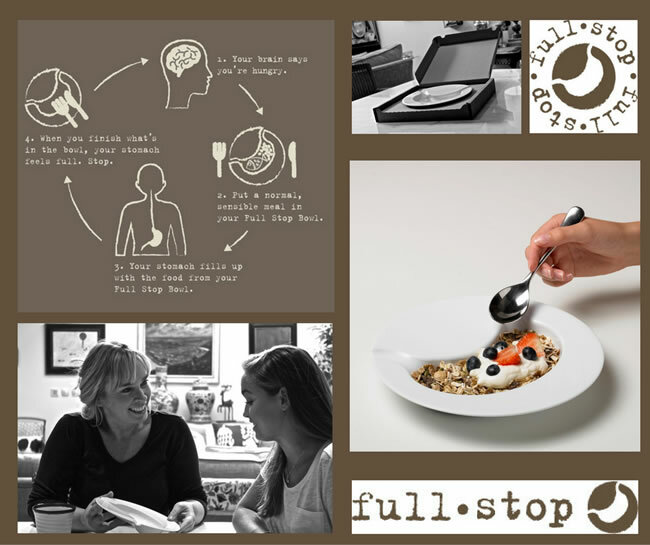 In a time when more attention is focused on the issues surrounding obesity, diabetes and a healthy lifestyle I believe that the Full Stop Bowl is a helpful tool to control the amount you eat without any fuss”. While Catfish Web Design has developed an excellent website that allows online purchase of the bowl, the project has also involved pulling in Catfish and Keystone partners to deliver the various elements required. Graphic designer Kate Marsden at KM Design created the brand identity and product leaflet. PR consultant Gill Shaffer at Mint Communications arranged the media launch. Rob Birnie at DBM provided the Full Stop Bowl animation. Find out more about the Full Stop Bowl online or watch the bespoke animation produced as part of the launch campaign. You can also connect with the newly launched product on Twitter, Facebook and Instagram.